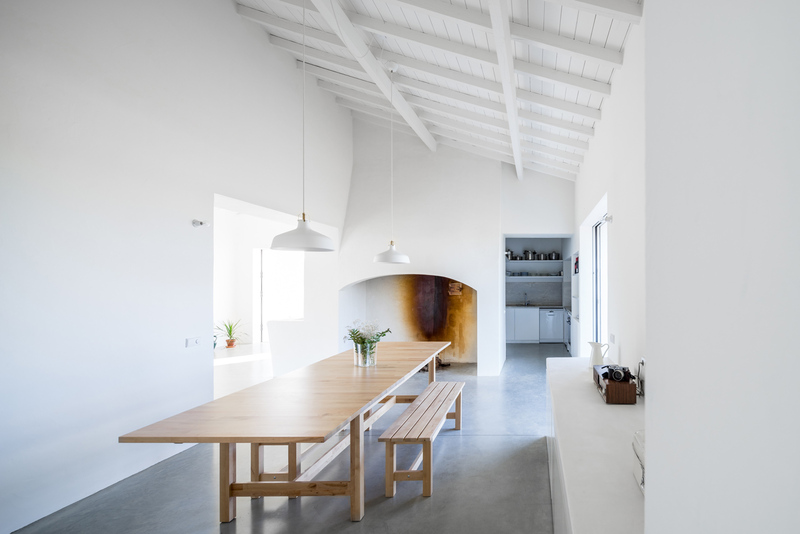 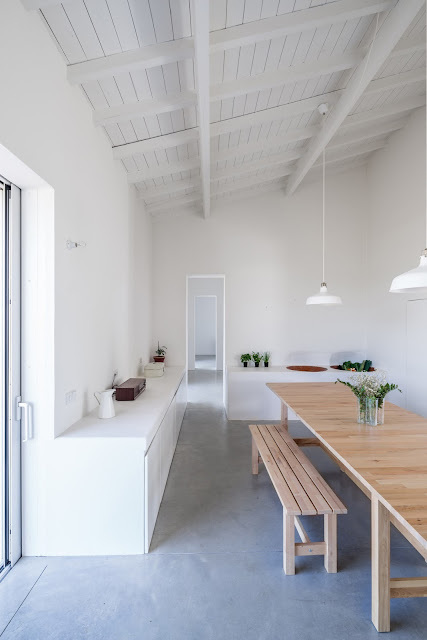 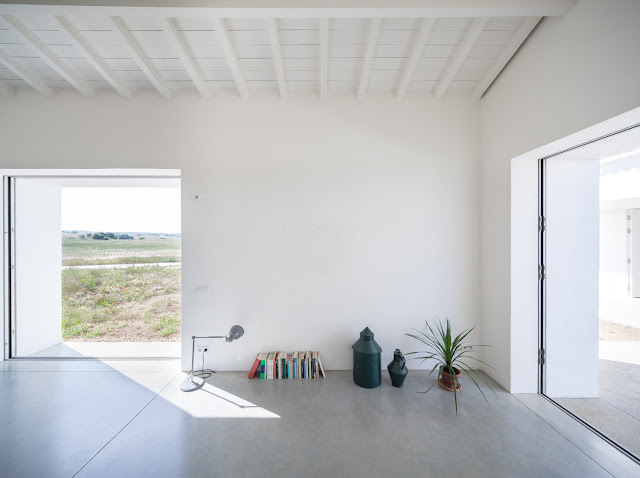 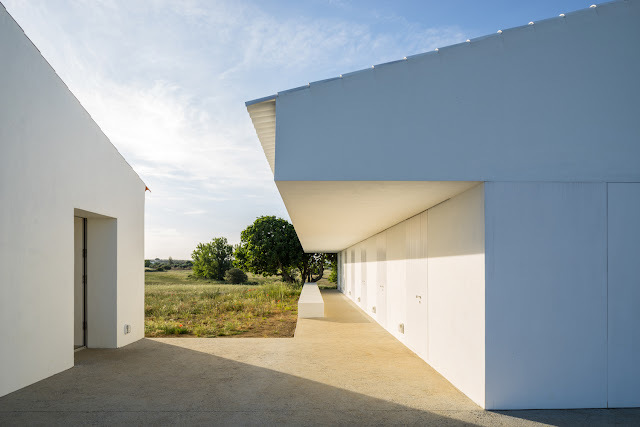 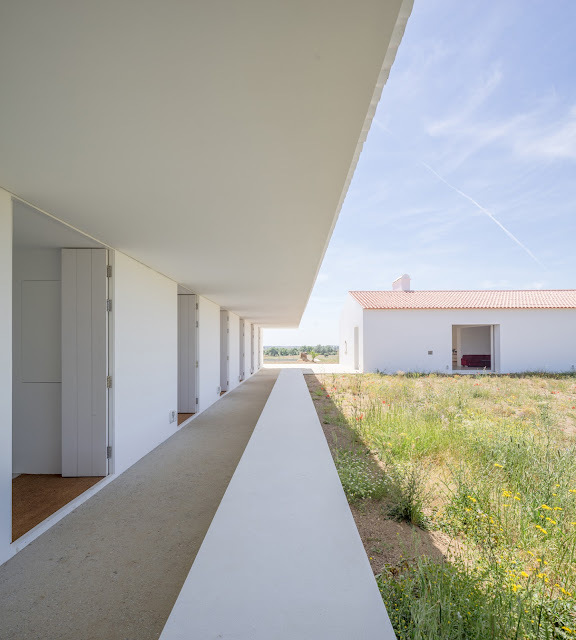 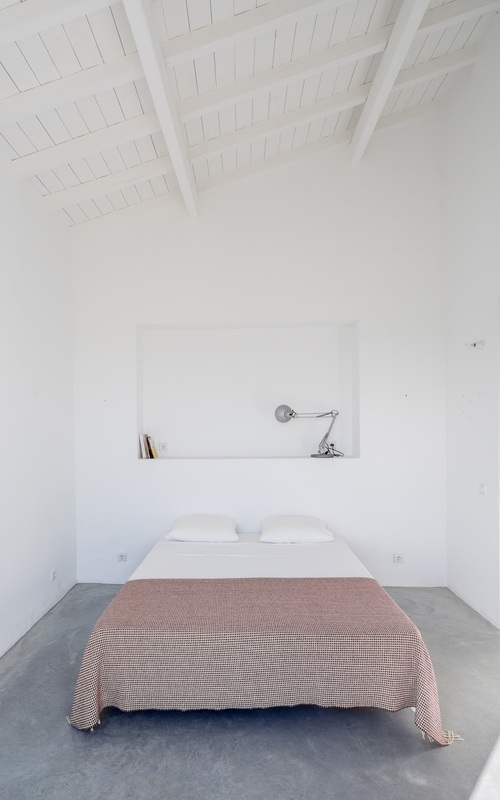 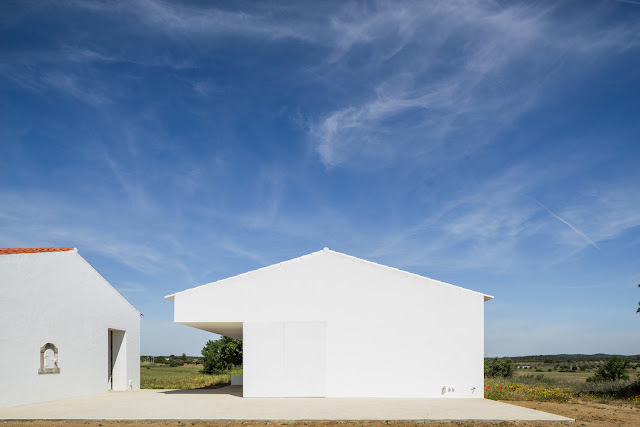 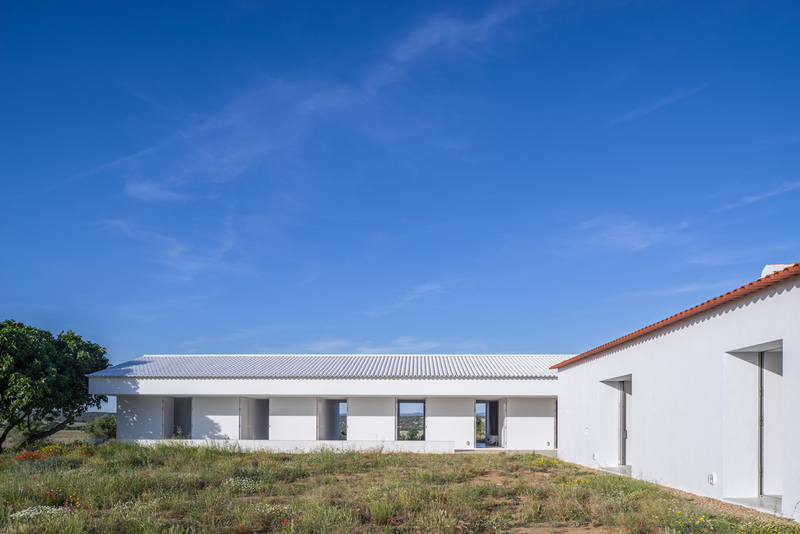 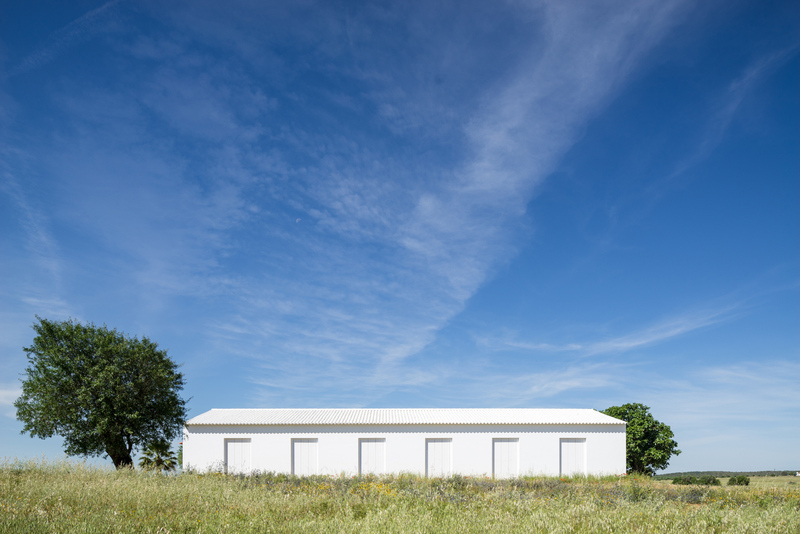 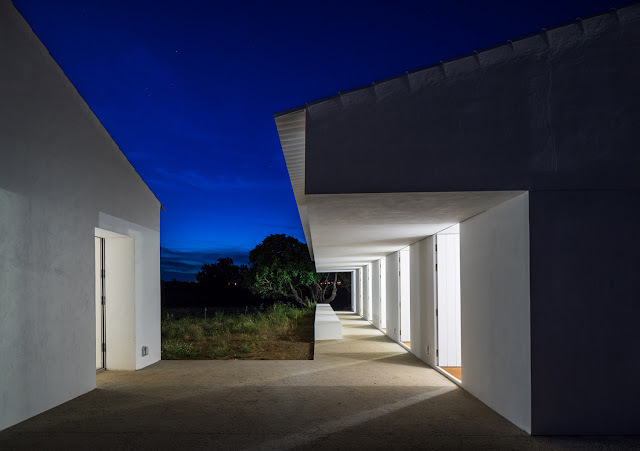 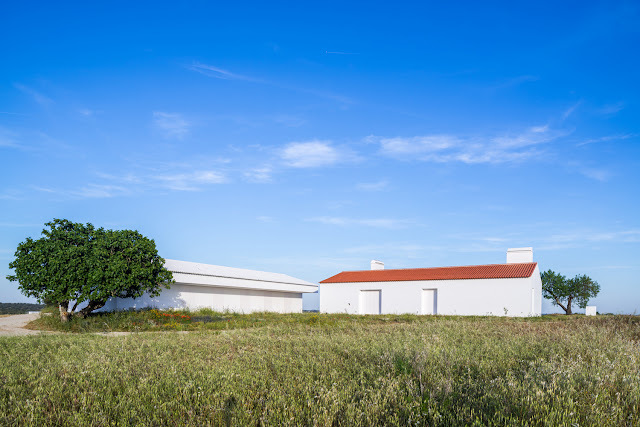 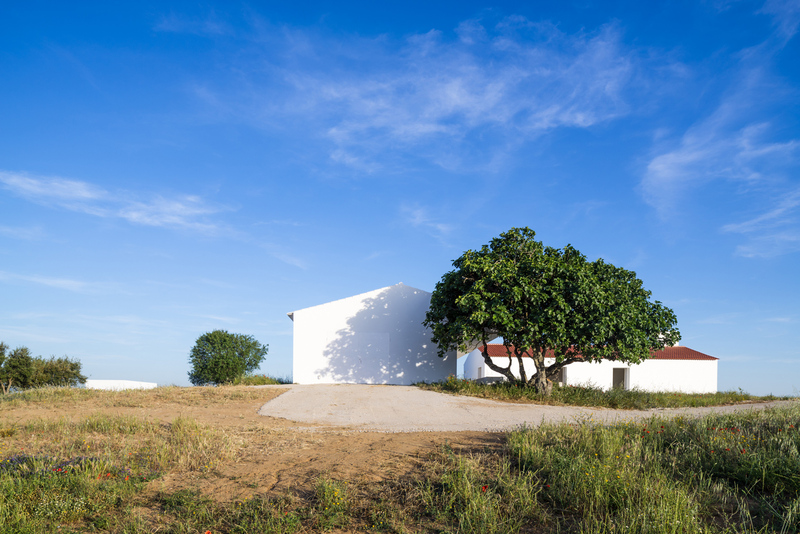 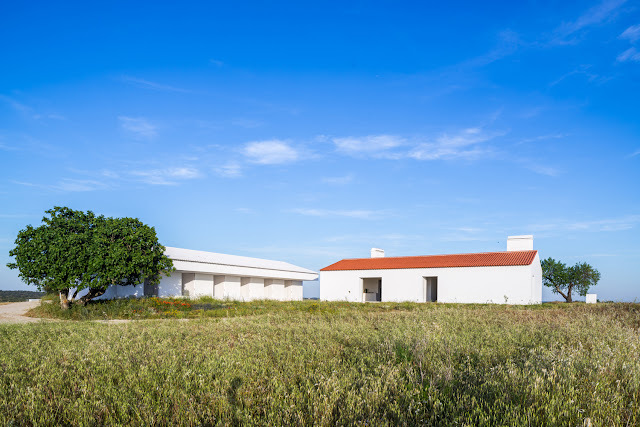 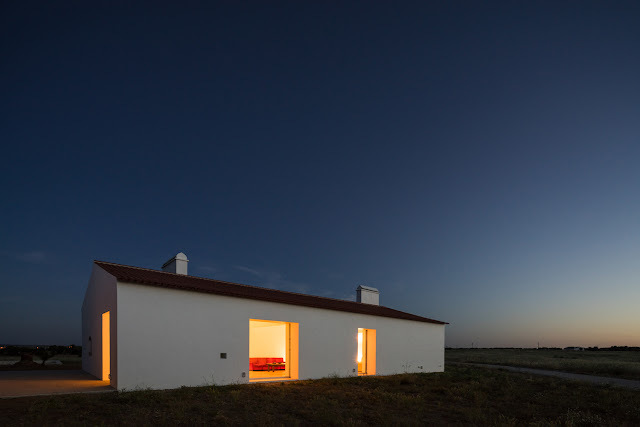 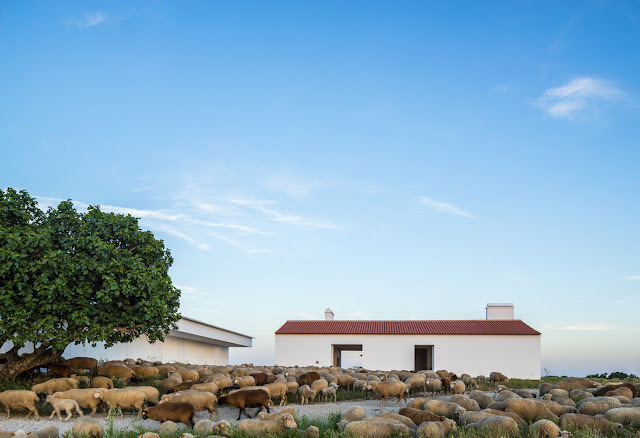 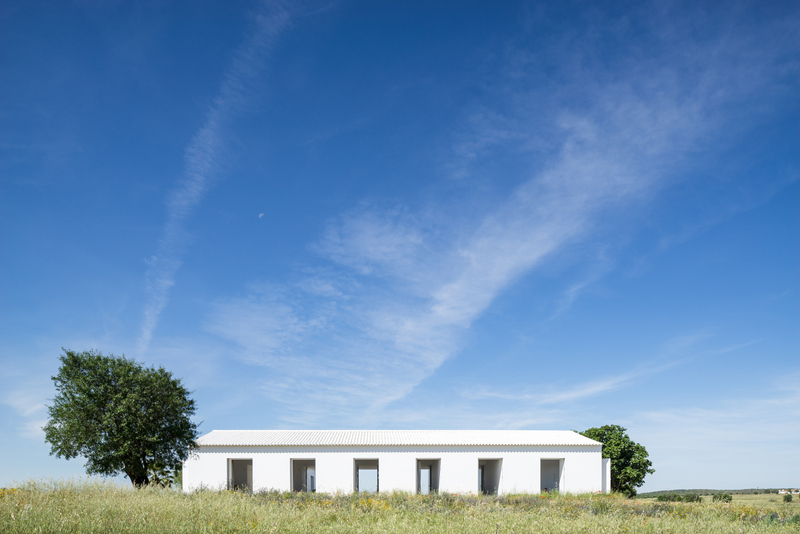 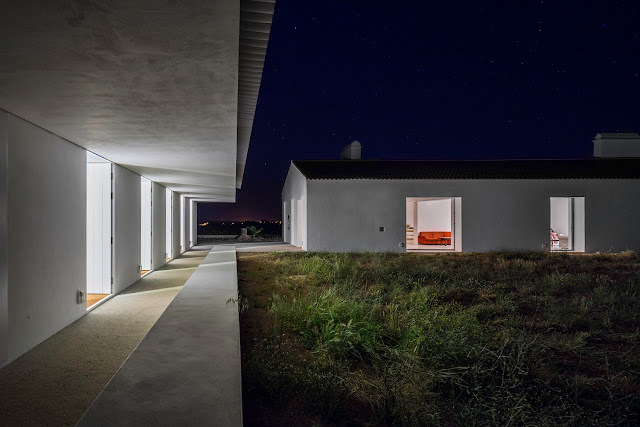 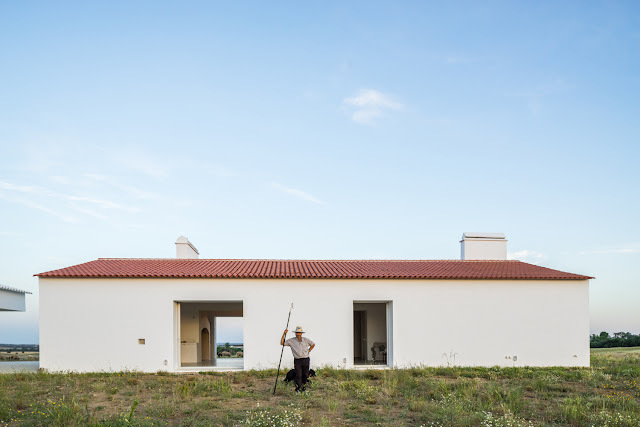 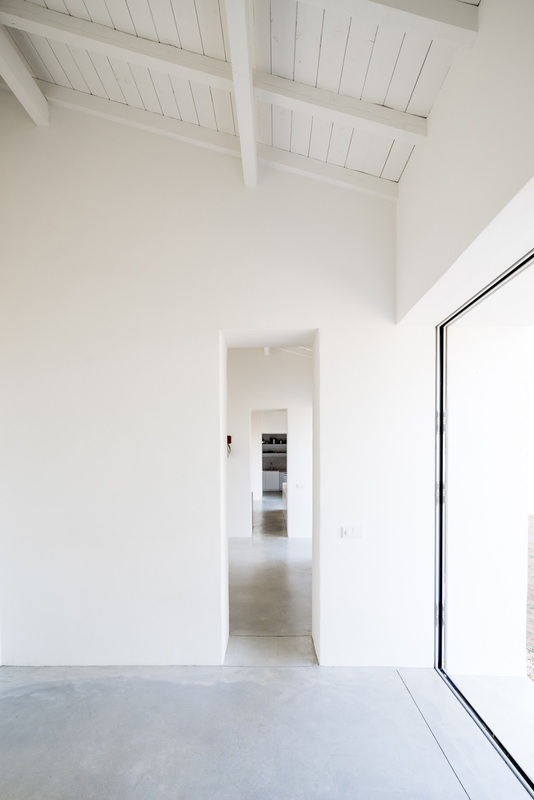 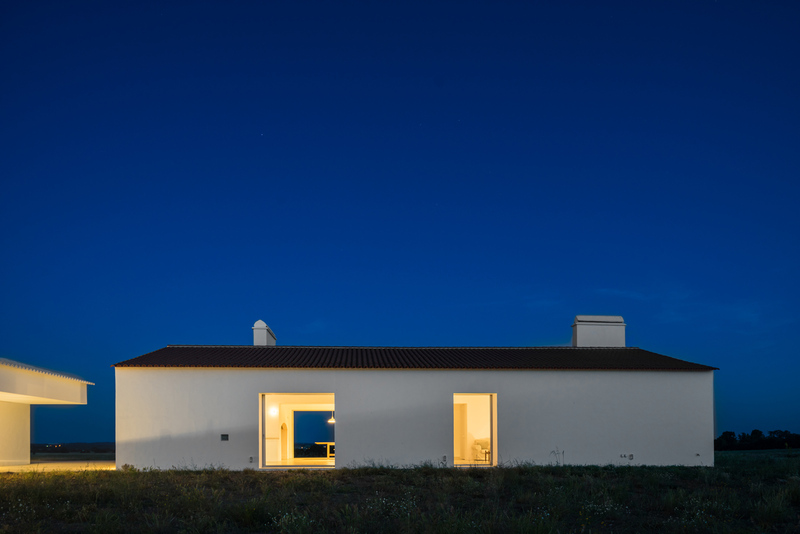 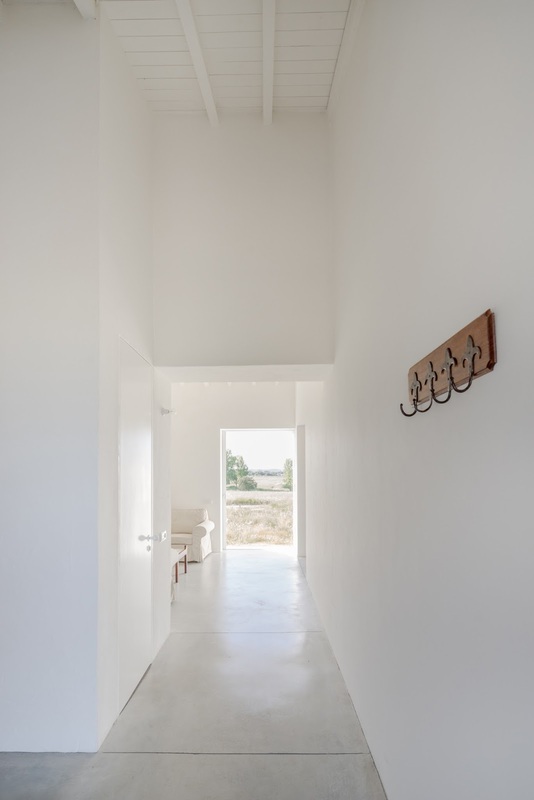 Portuguese studio Aboim Inglez Arquitectos converted an existing rural farmhouse on the outskirts of Azaruja, adding a new minimalist white extension in harmony with the original structure and its landscape. I say that he who, without betraying the constraints of the modern programme or materials, produces a work that seem to have always existed - that is, in a word, banal - may consider himself a man well satisfied . The 140 ha property is located on the outskirts of Azaruja village, Évora district. 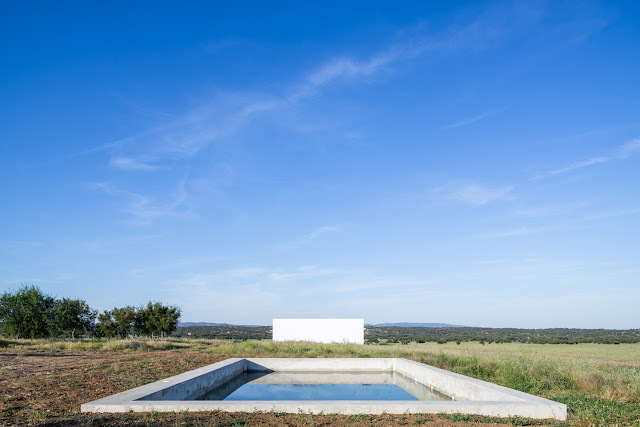 One senses this vast plain through its corks trees and the small constructions that punctuate the landscape, making it noticeable and humane. 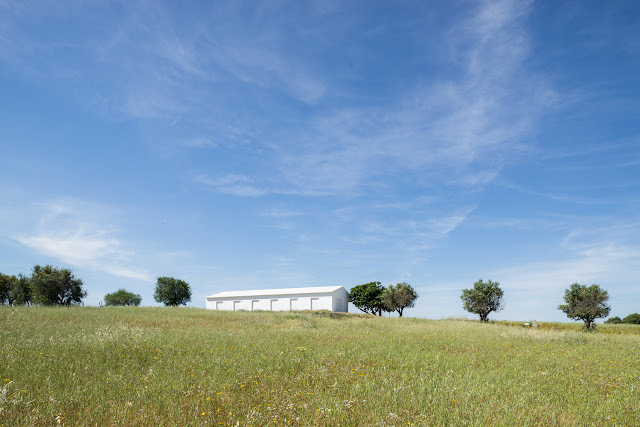 A hundred year old agricultural construction is to be refurbished and enlarged in order to accommodate a small tourism unit. The existing excesses and uncharacteristic enlargements are demolished and the quest for light begins. 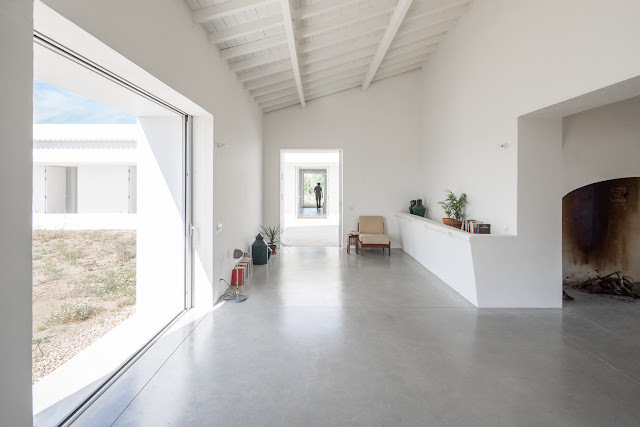 The programmatic disposition aims to follow the existing territory – informal and with no barriers. Borders are suppressed making it possible to circulate from space to space, where interior and exterior, naturalness and natural become one. 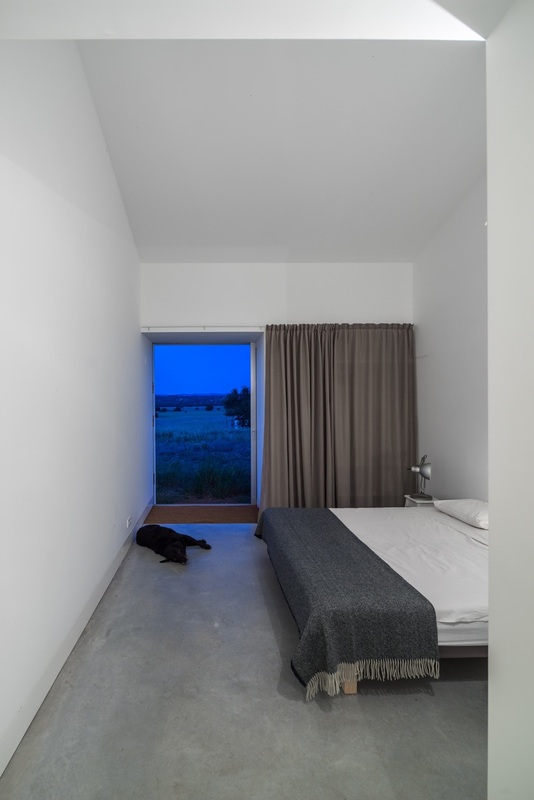 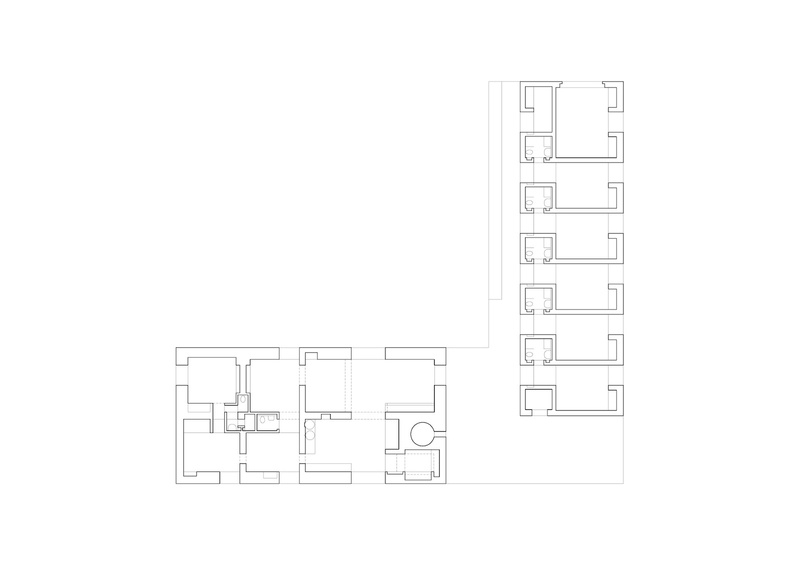 In order to have no disturbances between building and territory symbiosis, windows slide into the walls. Paintings emerge on the inside and passages appear from the outside. 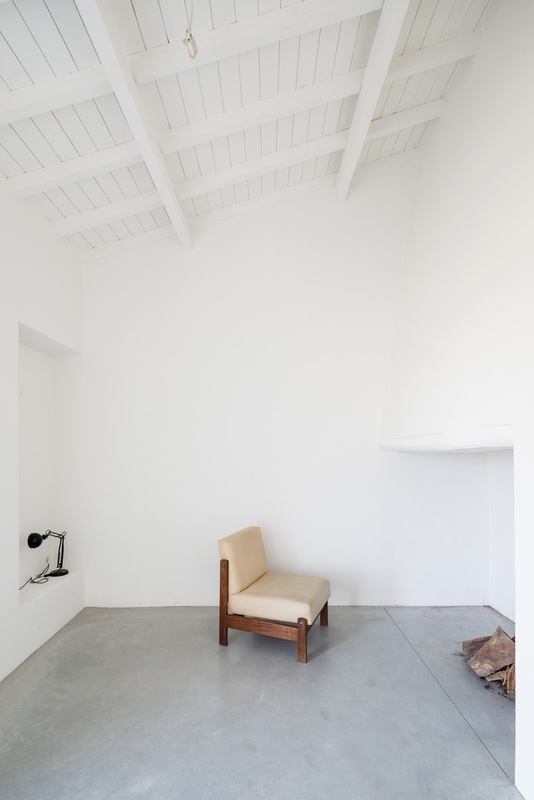 The porch presents itself as a connection moment between two natural elements – palm tree and fig Tree. 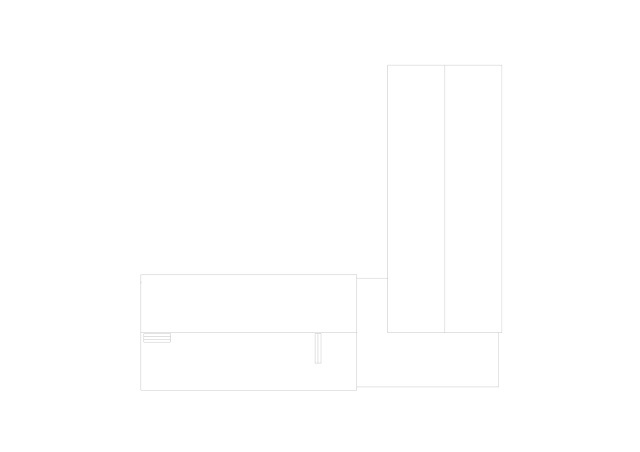 Coming from the north of Africa, the enthusiastic red palm weevil annihilates the first. Time proves it right. 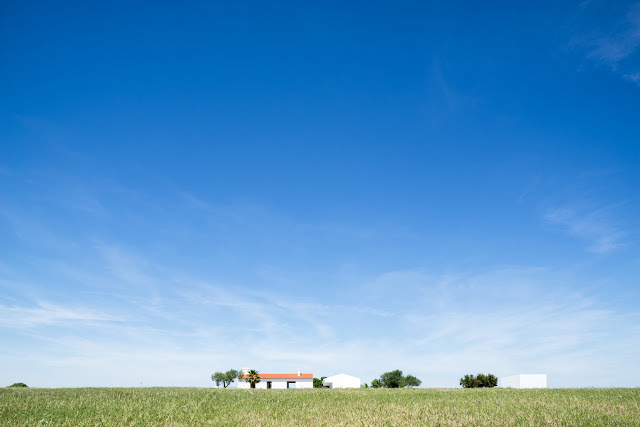 In the vast plain, the porch touches us.